You are here: REDWOLF > Home > News >News Detail - REDWOLF STOREWIDE SALE! 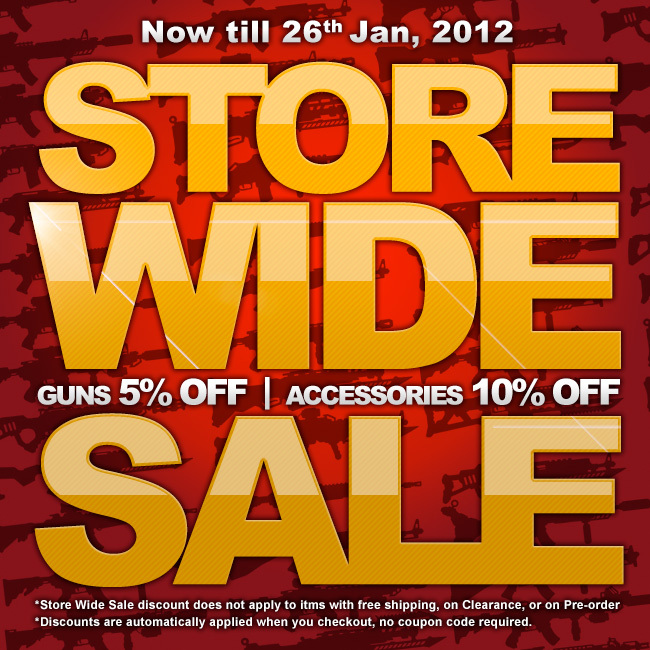 5% OFF on ALL GUNS, 10% OFF on ALL ACCESSORIES! Discounts are automatically applied to orders made from NOW till January 26th 02:30 GMT, 2012! *Storewide Discounts are automatically applied when you checkout, no coupon code required.